Cracker County is under attack and lovesick dog catcher Bubba Blanche has been transformed into a ferocious, cigar smoking Werewolf in order to save the day. But first he's got to conquer a beer or two. And maybe a plate of chicken wings. It's been generations since the Harkers' great-great grandfather killed Count Dracula. Now the Harker brothers and their best friend Ned are a town joke - until a real vampire turns up. A quirky twist on the vampire tale, set in modern day corporate America. Bubba (Fred Lass) is a weak and rather pathetic redneck who loses his girlfriend Bobbie Jo (Malone Thomas) to another man. This here forces Bubba to give up and sell his soul to The Devil (Mitch Hyman), which turns him into a strong and brave werewolf. It doesn't take Bubba long to realize that he's made a mistake. There have been countless films in the werewolf sub-genre and a few of them have been aimed for laughs. The most popular of the more recent titles would be TEEN WOLF and there's no question that this film is in the same league as that. Sorry, but I'm a fan of TEEN WOLF and I'm a fan of this movie, which is certainly aimed at adults but it's charming enough and for the most part the comedy works well. The film's main draw is the fact that you've got a redneck playing a werewolf. The make-up effects certainly aren't ground-breaking but for the most part I enjoyed the look of the werewolf. The screenplay has one basic punchline but there's a lot of fun that can be had with it. I thought the film did a good job at keeping things light and entertaining. Of course, comedy is a subjective thing but the various jokes throughout had me at least smiling most of the time. What really makes the film work are some of the performances. I thought Lass was extremely fun and entertaining as the werewolf and I thought the actor did a very good job at making the character someone you'd like to hang out with. He was a fun "good old boy" and he certainly helped the film. I also thought Hyman was very good in the role of the Devil and I loved the laid back approach that he brought to the character. 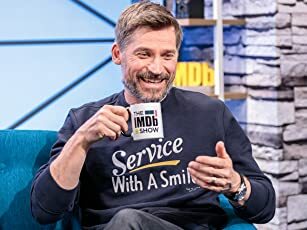 The two actors really get to have fun together and there's no doubt that they make the material much better. 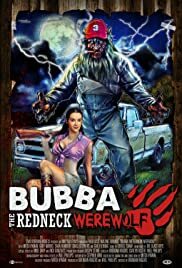 BUBBA THE REDNECK WEREWOLF isn't a film that's meant to be taken serious. If you're offended at the thought of a horror-comedy then it's best to avoid this movie. To me, this here was a great throwback to when "B" movies were something special and they were made entertaining.